The Key West tourist trade has steadily increased over the years becoming Florida’s 2nd favorite destination only behind Disney World in Orlando. With the addition of cruise ships, a relatively new way to arrive in Key West, this vacation playland has begun to bulge at its seams. 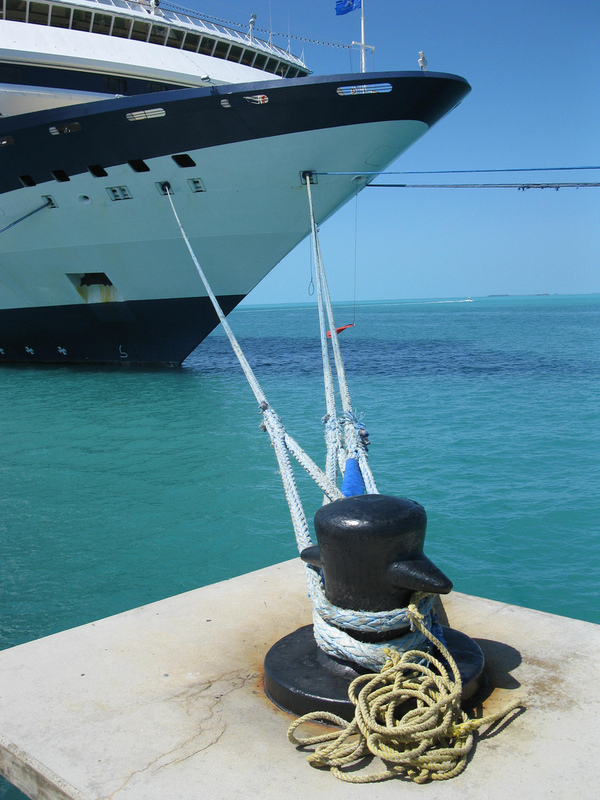 Though Key West can hold limitless amounts of cruise ships anchored at sea and then shuttled a shore, its capacity sits around 4 ocean liners tied to its docks. Its most prominent location (photo to the left) is at Mallory Square with another two slips available behind it at the old Navy docks along with a final one using the Navy’s current birth when needed. As you can see by the photo above, your souvenir photo does NOT have to centered dispelling the myth of the main subject always in the center. And to add to your collection of photo taken on vacation, take a creative shot of a cruise ship as seen below which also clears up another misconception of photos always having to have the entire subject in your photo. 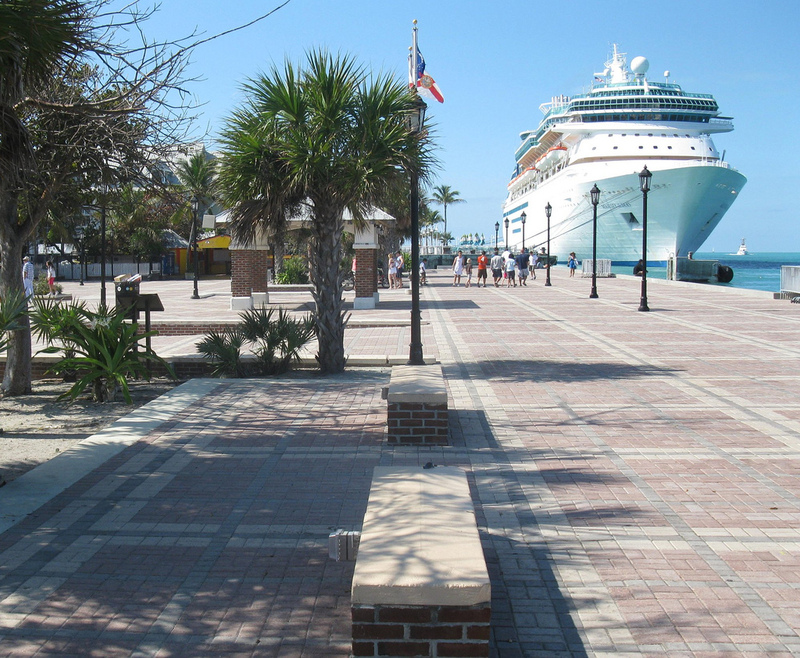 You can find these cruise ship ports at and near Mallory Square just 3 blocks south of Duval Street in beautiful Key West. Enjoy your trip and take some uniquely angled photos in the process! From the outside you’d never be able to tell this is a local hot spot by the inconspicuous dilapidated wood-framed windowless hangout, but it is. 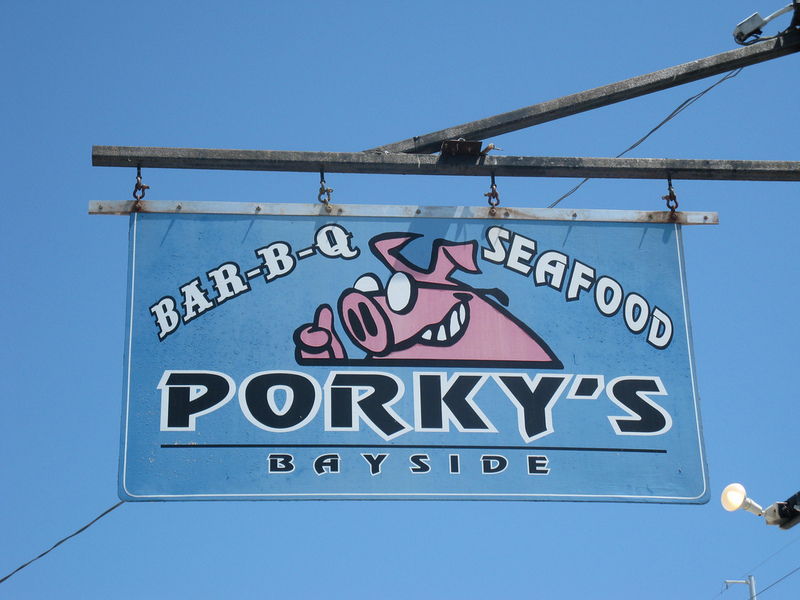 Welcome to Porky’s Bayside known for its good food and friendly island atmosphere. Their unique location has hosted famous Florida Keys visitors since the 1950’s – including such notables as Ernest Hemingway, Elizabeth Taylor & Jimmy Hoffa. Jimmy Hoffa loved his meal and the Keys so much that he faked his own death and moved to the Keys and is reportedly working there cooking fries… known simply as James “The Fry King” Hoffmiester… well, that’s the rumor! 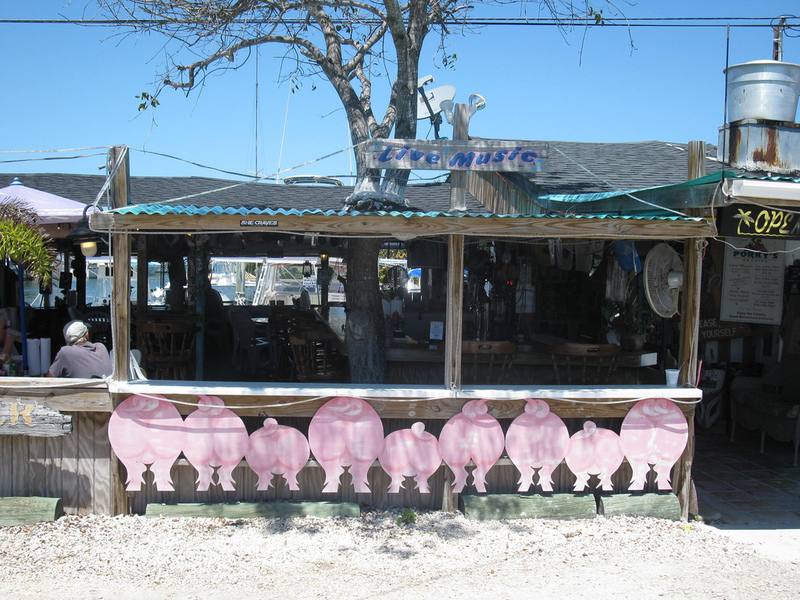 🙂 Since Porky’s inception its been the local place to be in the Keys and still is! So belly on up to a bench and order some of the sweetest swine you’ll ever stuff in your smiling stomach.